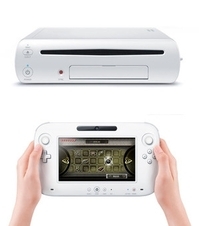 In yet another Iwata interview, the Nintendo President is confident that the Wii U’s launch date will not be delayed. One of the reasons that we’re talking about Wii U at the show this year is because our estimates of when we would be able to manufacture it and the timeline for launching the hardware are such that we feel confident that we’ll be able to meet those timelines. So, if perhaps you were worried about a boom in smartphones that might use LCD screens having an impact on our business, with the current estimates that we have, I am not seeing any significant manufacturing issues. Considering anything much anticpated gets delayed these days, I’m fairly skeptical about this point, especially since Nintendo’s official launch window for the Wii U hasn’t even been announced yet. We shall see.